Art Gallery Talk: CD Prayer is a portable CD player that prays for the obsolete media. 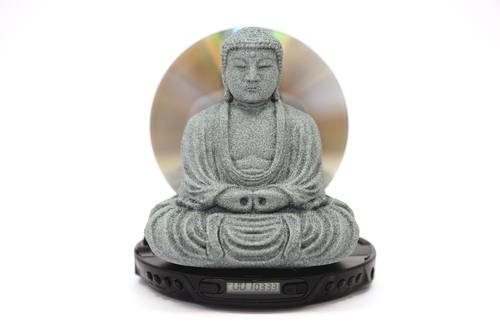 It revives a CD as a halo of Buddha and plays hi-fi music for us. This artwork was created by remixing the 3D data shared by Yahoo JAPAN under Creative Commons license (CC-BY-3.0).